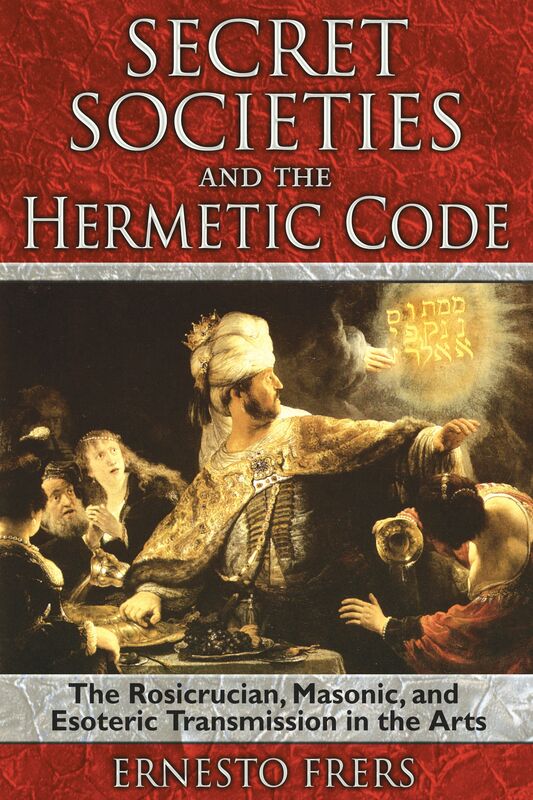 In Secret Societies and the Hermetic Code, Ernesto Frers presents a virtual museum of artistic works that contain occult secrets. The scope of his research ranges from the paintings of Byzantine icons to Salvador Dali, from mystery sites such as the Pyramids to the architecture of Andrea Palladio’s Villa Cornaro. He also discusses the hermetic influence on music evidenced in the works of Mozart through to the modern era of rock and roll. Frers explains that all cultures encode in their architecture, art, and music the instructions and diagram of their esoteric ritual and faith. He shows how during the Middle Ages and Renaissance, the Church’s severe censure of anything antithetical to its dogma forced artists to conceal mystical references within the religious images or scenes they depicted. By examining works that have not received such scrutiny before, including those of Titian, di Cosimo, Botticelli, and Rembrandt, Frers brings to light the symbols and cryptic messages hidden in these masterworks. He presents his evidence using more than 100 color and black-and-white images to reveal the mysteries contained in these works of art. He also extends his investigation to the occult leanings of modern-day musicians such as the Beatles, the Rolling Stones, and Led Zepplin. Drawing and painting are primordial abilities in human culture, and have always been connected to magical and religious symbolism. Their first known manifestations were in so-called rock art, which emerged with the European Homo sapiens during the Upper Paleolithic period, about forty thousand years ago. In ancient and classical Western civilizations, the locations for paintings were the walls, friezes, columns, and facades of temples and other monuments. Painting as an entirely independent work--what we now call pictures--emerged in Europe in the form of Christian iconography produced on panels and altarpieces. Later, the canvas stretched over a frame and mounted on an easel became more widespread. In the chronological order in which works are presented here, there is a greater weight placed upon those pieces created between the fifteenth and seventeenth centuries. This is not only because this era produced such a great number of brilliant artists and masterpieces in the unfolding of the Renaissance but also because it produced a great number of paintings containing esoteric symbols and Hermetic messages--indeed, more than ever before. In its revisionist examination of the past, Renaissance culture produced a new kind of profane philosophy, setting aside Christian theology and recovering the Hermetic sources of antiquity and their arcane mysteries. Yet the principal patrons of the arts continued to be the popes, the prelates, and the aristocrats connected to the Church, which prohibited as heresy all occultist readings and practices and even punished these with death. In order to avoid being discovered, artists such as Botticelli, Hieronymus Bosch, and Leonardo da Vinci carefully concealed within their works secret allusions to their esoteric convictions and wisdom. This was also the case for patrons who were adept in the occult sciences, such as Duke Cosimo de Medici in Florence, who expected his artists to include in their works symbols and allusions referring to the mystical creed they--and he--professed. The great fifteenth-century artist linked to Renaissance paganism and occultism included various initiatory symbols in Primavera (Uffizi Gallery, Florence). The painting’s characters, taken from classical mythology, form a scene filled with Hermetic allusions. Sandro Botticelli was not simply a painter of the religious and secular themes typical of the Renaissance; he was a man initiated into the mysterious paganism that pervaded the intellectual and artistic circles of this era. Iconologists who explore the secret messages and symbols in works of art always show a particular interest in deciphering the occult codes underlying the mythological bucolicism of Primavera. According to the most widely accepted esoteric interpretation, the entire painting expresses a Hermetic description of the spiritual being’s voyage into the material reality of the manifest world. Each of the different characters represents an element in this journey, making his or her inclusion consistent in the scene depicted. Let us see what these elements are and what they tell us as we read them in the proper direction, from right to left. Zephyr’s greenish blue color is not a caprice on the artist’s part. This strange and unique chromatic shade distinguishes him clearly from the other figures who make up the scene. In classical mythology, Zephyr was the young god of springtime, and a soft breeze scattered the flowers gathered in his cloak. In Botticelli’s painting, this flowery function corresponds to Flora, whose serene beauty contrasts with the god’s sullen face and livid complexion. We should now understand that Zephyr is not actually a god and does not form part of any imaginary Olympus, much less the real or manifest world. As the god he appears to be, he represents the force of wind, but a wind of the subterranean world that rises up from a different dimension, pushing forward the nymph Chloris simply to introduce her into the scene. Who, then, is Chloris? Her name suggests clarity, light, and the color white, symbolizing innocent purity. She is the pure and luminous soul that must confront the karmic process; she is shoved forward by the secret energy of life in its journey toward spiritual perfection. In the painting, the nymph turns her face toward her captor with an expression that suggests a certain fear or resistance before this force that pushes her and obliges her to transform herself. The painter has captured her in the moment of being transformed into Flora, the brilliant beauty of springtime as symbolized by her flowery costume and her triumphal advance toward the exterior of the painting (possibly the real world). Botticelli conveyed this transfiguration in a detail of the two figures: For each one, the right foot is in exactly the same position at an equal distance from the bottom edge of the painting. While Chloris is standing on her right foot in order to lift her left one, Flora’s left foot is forward, placed on the ground, thus completing the movement begun by Chloris. Together, the two represent the same initiatory path. Some who have interpreted the secret language of Primavera have claimed that these three figures on the right side of the canvas comprise their own theme in addition to their role in the secret message of the work in its entirety. Zephyr, who belongs to an Orphic dimension and cannot enter the manifest world, introduces Chloris into it; by changing into Flora, Chloris transmits the power of incarnating springtime. For this reason, Flora carries at her side the flowers that the mythological Zephyr carried in his cloak and assumes his function, scattering them in the earthly dimension. Moreover, because Chloris represents the spirit in its pure state, she begins her human transition as springtime, the season that symbolizes the young phase of life. Ernesto Frers is an author specializing in medieval history who has investigated enigmatic and occult subjects for many years. He has published widely in his field, is the author of Templar Pirates and Secret Societies in the Hermetic Code, and also the author of a number of works of fiction. He lives in Spain. "Renowned researcher Ernesto Frers translates the ancient, occult language in this blockbuster book. . . ."
" . . . full-color photos literally peppered throughout for a pageant of display and visualization. Perfect not just for new age collections, but for art library holdings, as well." "This book intends to bring together a selection of those great works that allow for a double or triple reading, forming a kind of secret museum that the reader can visit virtually, with the aid of the illustrations that accompany the text." "This is a virtual secret museum in the palms of your hands."